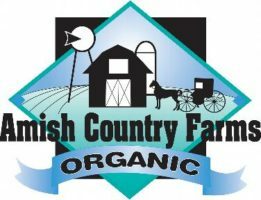 They write: “Amish Country Farms works only with family owned farms where the cows enjoy a healthy life grazing out in wide open grassy fields. They are often massaged and have cool water misting over them to keep them cool in the summer. Happy cows produce the highest quality organic milk. No antibiotics or growth hormones are used including rBST or rBGH. Organic feed is fed to the cows. This is grown without the use of chemicals, synthetic fertilizers, or pesticides. Our cows have access to open pastures, clean water, and fresh air at all times.